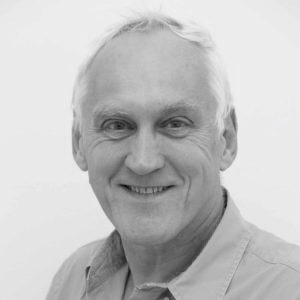 Cambridge Stratum was founded by John Culbert who has over 40 years of directly relevant technical and commercial experience. John originally trained as an engineer and gained experience at Cambridge Instruments during his sandwich BSc hons engineering course. Following graduation he worked in R&D and International Product Support on a range of scanning electron microscopes and related high technology equipment. From there he moved to Philips Scientific and Industrial and was responsible for design assurance on a range of spectrophotometers before moving onto being responsible for the marketing of product support. Over the following 3 years John migrated to more commercial roles and was head hunted to join Sanyo Information Systems as Marketing Manager. He was quickly promoted to Computer Division Manager and took the division from virtually zero to being the 3rd largest manufacturer of laptop computers in the UK and in doing so changed the way in which those products were distributed and marketed. In 1991 Taiwan were the rising stars in the computer world and John had a desire to start his own company. This led him to fly to Taipei in search of a supply partner. Over the following 2 years a joint venture was formed with his supplier Dual Technology, which lasted until 1999 when the collapse of the Asian Tiger economies wiped 60% off the value of the company’s shares in Taiwan and caused the worldwide closure of the company. In the interim John gained a wealth of experience of dealing in the Far East and in particular dealing with the problems associated with emerging manufacturers of high technology product. Having been through this process twice, once with Sanyo Information Systems and once to a much greater extent in Taiwan, John feels he is well equipped to recognise the pitfalls and opportunities. “When I started Dual Technology in 1991 the personal computer market was dominated by very large USA companies including IBM, Apple, HP and Compaq, with also some very large Japanese companies strong in the portable PC market. At that time there were also around 140 Taiwanese manufacturers of PCs in particular notebook computers. Within less than a decade the American and even much of the Japanese production had moved to Taiwan and later to mainland China. The 140 Taiwanese manufacturers had shrunk to around 10 larger and more competent manufacturers. Then in 2004 IBM sold its personal computer business to its Chinese manufacturer Lenovo in a deal reported to be worth US$1.75 billion which also gave IBM a minority stake in Lenovo.